As Election Day grows closer in the US, we looked into how some of the other countries around the world vote, and, well, just be thankful, Americans, that you aren't required to vote with marbles. In Argentina, you pick a ballot paper based on the candidates you like (see above), then fold it and put it in the envelope provided to you. Then you drop it in a designated box. People can put ~anything~ in the envelope if they want to make their vote null. Some people have even put in slices of ham as a form of protest. Because the ballots are paper, members of political parties can come into the room and switch all the ballots from one party to faulty ones and therefore null out a ton of votes. Everyone in Australia gets two pieces of paper during election time. On the first, Aussies rank the candidates from most favorable to least favorable for the country's House of Representatives. It decides who their local representative, or MP, is, and the party with the most MPs gets to form the government and their leader becomes the prime minister. The second piece of paper decides who makes up the Senate. It's so big that it's often nicknamed the "table cloth" and because Aussies like to take the piss, many are returned with graffiti. Voting is also compulsory in Australia. If you don't vote you get a $20 fine. Brazil uses electronic machines, which means the results are usually announced four or five hours after the voting ends. Once you vote, you can annul your vote by pressing numbers that are not registered or abstain by clicking a white button. In Canada you mark an X in a circle, fold the ballot up, and drop it into the ballot box. Once voting ends, the ballots are counted by hand in the attendance of the representatives of each candidate. 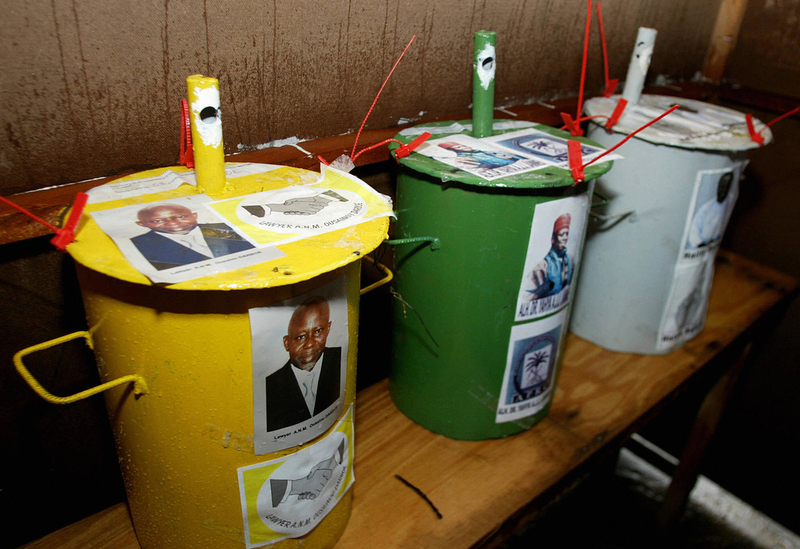 In Gambia, people vote using marbles that are dropped into one of three metal drums representing the candidates. The system was introduced in the 1960s to accommodate high illiteracy, which still hovers at something like 50% of the total population. 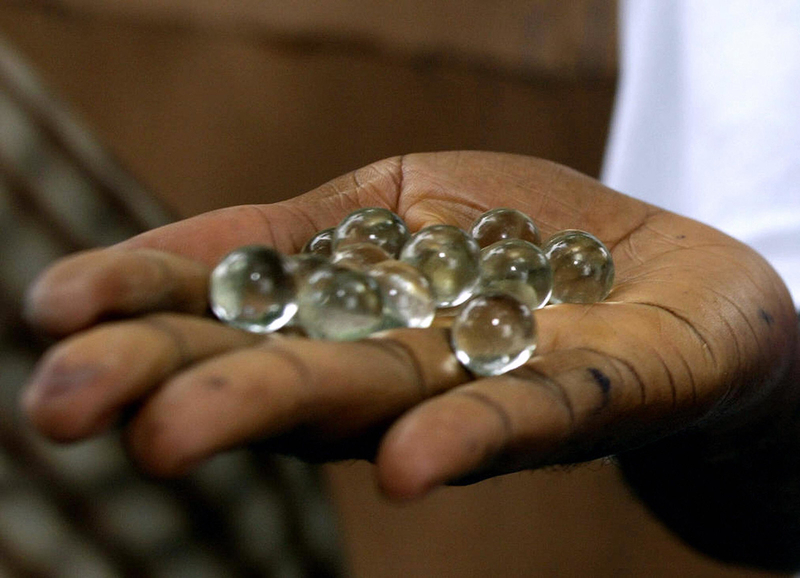 To prevent fraud, the marbles, which are handed out at the polling booths, are of a certain style and color. Each drum has a bell attached on the inside so you can hear the marble dropping and can't drop more than one marble. And bicycles are banned from polling stations because the bells sound like bicycle bells. The whole exercise is pointless, though, because the same dictator has been in power for 20 years. For the election of the German Bundestag, everyone gets two votes. One vote is for a direct candidate in the voter's constituency and the winner in each constituency is the candidate with the most votes. The second vote is for a party, allowing the parties to fill more seats from electoral lists to gain proportional representation. To vote, you simply put a X in one box on each side. During the local government elections, voters have special voting slips that can get ridiculously long. You can give "all" your votes to one party OR give your votes to individual candidates from different parties. India has been using electronic voting machines (EVMs) for its general and state elections since 1999, which was the last time people voted with paper ballots and rubber stamps. The EVM can record a maximum of 3,840 votes and fit a maximum of 64 candidates at one time. Once a particular button on the ballot unit is pressed, the vote for the corresponding candidate gets recorded and the machine gets locked. If you're intrigued by the process, you can read more here about the EVMs and how they work. Japanese voters are required to write down the name of the party and the candidate they're voting for. Voting rate in Japan is so low that a lot of restaurants and shops give discounts or free stuff to those who claim that they will vote or have voted. Since Japanese voters write down names, there are a lot of complicated rules regarding whether the ballot can be considered valid or null. The voting ballot is made from special paper that doesn't get damaged by water or chemicals — and is designed to unfold itself when taken out of the ballot box for counting. On election day in Mexico, an official hands over different ballots for candidates running for the presidency, Congress, and in some years, local government. It is advised to bring your own pen that cannot be erased because it's pretty common for people to erase the votes and alter them. Once someone votes, their fingers get inked so they can't vote again. Due to corruption problems, people often cancel their vote, and they choose to do that in the funniest ways. Nepal's political parties multiply every election cycle, so each party uses its unique election symbol. For example, the parties leading the government right now use the hammer & sickle and tree symbols, while the main opposition party uses the sun. At the voting booth, people get a stamp with a 卐 sign and an ink pad — and you're supposed to stamp next to the symbol of the party you support, fold the ballot paper, and insert it into a box. In Turkish general elections, names of all the parties are printed on one super-long sheet. You can vote for one by using a stamp on the empty circle under the party of your choice. The stamp says "Evet," which means "Yes" in Turkish. You have to stamp the circle — if you stamp anywhere else or otherwise mark the ballot, your vote will not be counted. 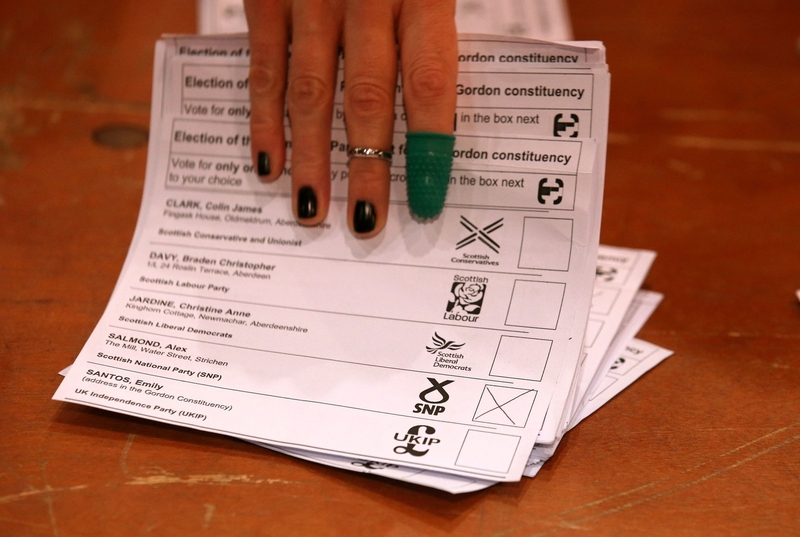 Election ballots in the UK typically list the number of candidates next to the election symbol of the political party they're affiliated with, and you simply put an X next to the candidate you choose. 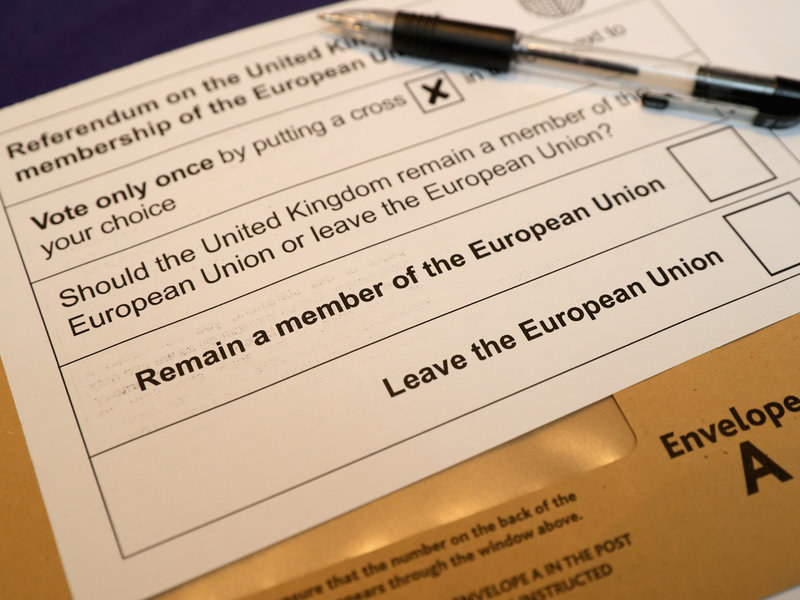 During the referendum to decide whether the UK should leave or remain in the European Union in June, British people had two options to choose from. The rest is history. Conz Preti, Mark Di Stefano, Rachael Krishna, Flora Paul, Alp Ozcelik, Bibine Barud, Monica Mark, Karsten Schmehl, and Ishmael Daro contributed to this post.